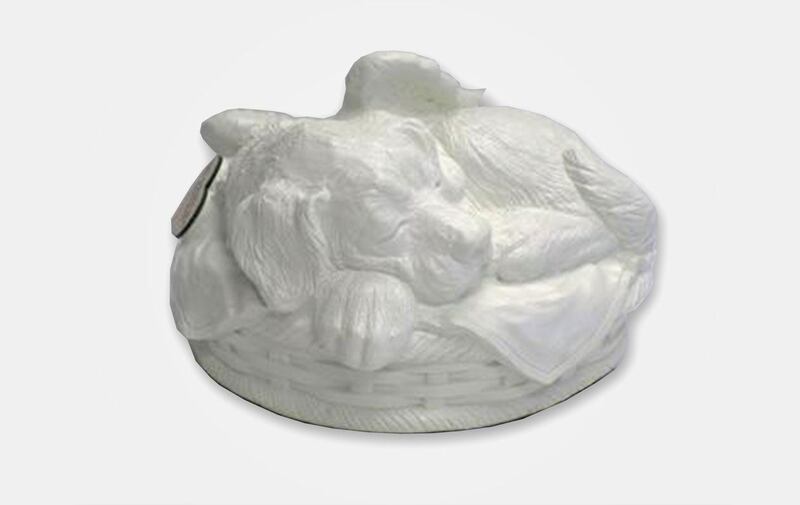 Our popular Angel Winged Puppy Urn now comes in a white cultured porcelain polymer that uses a traditional cold cast process. Engraving can be done on a heart shaped brass colored tag with an adhesive back to stick on the urn. With a capacity of 45 cubic inches, it should hold a 20-25 lb. pet.